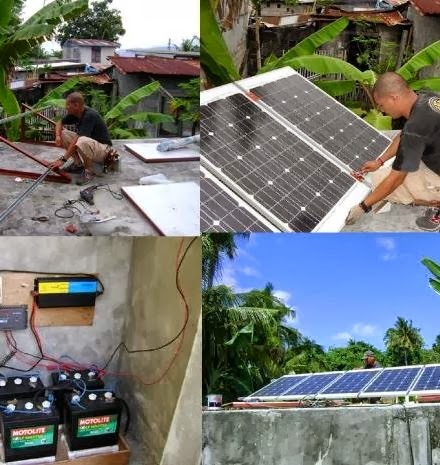 How to make solar panels has been discussed about and written about many times. Building panels at home is pretty easy and comes naturally to any person who likes do it yourself stuffs. These panels built ourselves come pretty cheap compared to the ready panels available in the market. The price difference is huge owing to the fact that these panels have a brand name and support involved. The question is whether we can produce quality solar equipments in our garage at throwaway prices and make profits from it? The answer is yes, but it takes some effort. The solar panels made in our garage cannot match the standard of machine finished standard goods. So what can we do in order to have these homemade panels last longer and earn more profits? 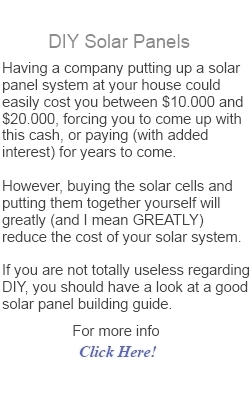 I have compiled some information on having DIY solar panels last longer which is listed below. 1) Try and use good solar cells. In order to make cheaper panels we often compromise on the quality of the panels used. The panels have a very long life. Buy good raw products for the panel. Initial investment will be a tad higher but it will pay off in the long run. 2) Do not make permanent fixtures, keep all fixtures collapsible. 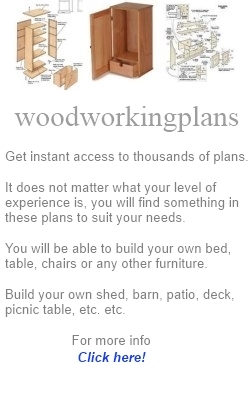 This applies only to the board as a single piece and not the various components. During harsher weather and periods when sunlight is not enough we can get the panels down for storage. This will prevent damage from external forces like snow, hail storms etc. 3) Solar panels should be accessible. By accessible solar panels I mean that one should be able to clean the panels at regular intervals and also check on them for moisture and cracks in the plexiglass etc. 4) Keep monitoring the power output. The output of the solar cells needs to be monitored in order to make sure that they are healthy. In case there is a sudden decrease in the voltage, check the external factor affecting the same (some tree branches, deposits on the panel, moisture inside, damaged panels etc.). The battery stores the excess charge produced by the panel. When the sun is out the power is drawn from battery. The battery should be in proper working condition and should retain the charge for a longer time. Following the above steps should to an extent extend the life of the panel made at home.